Pricing is always an interesting topic, but even more so in the Hardware and Software worlds. In the consumer products business, if there is a package of frozen peas from Green Giant that’s priced at $3.99, you’re not likely to see someone else offering the same-size package of peas priced at $14.99. But in High Tech, things are different. The pace of innovation in the High Tech world leads to pricing that’s all over the map. It’s not unusual for a brand new competitor to come out at a higher price than the current established market leader—especially if their product is based on market-changing advances in product functionality due to a new technology. This is unheard of in most other markets. Then there is the PC business, where rapid technological advancement over a long period of time has led to continuously lower prices—with great benefit to consumers but squeezing margin (and indeed many competitors) out of the market. Again, things move fast in Tech. Sometimes it’s a high initial price to harvest profits while you have a feature advantage, other times it is aggressive discounting to gain market share, based upon your lower cost structure due to less expensive technology. Whatever the case, you can often count on pricing moves to be dramatic and to have a profound effect on most technology market segments in the long-term. So what’s the best way to price software and hardware-based products? Is it best to add up your fixed costs and, allocate them to a forecasted number of units to ensure you are recovering your investment? Or is it better to take your variable product costs and use a standard multiplier derived from history? Maybe you just set your pricing based on the prices of your competitors. Or let your customers tell you what they’re willing to pay. While all of these approaches have merit and a place in pricing policy, none of them should be the over-riding factor in your pricing strategy. And the most important factor to consider in Pricing? The most important thing to focus on in setting prices is VALUE. What is the value of your product to your customer as an economic, functional or emotional return? And how does the customer value the benefits of your product relative to your competitors? Let’s talk about the nature of Value. Value is a measure of the underlying need or want that drives a customer to purchase a High Tech product. If the benefit that the product provides closely fulfills that want or need at an attractive or at least acceptable price (high value), you usually have a sale! Maybe the most important consideration in value-based pricing is to SEGMENT your market properly prior to the pricing decision. Segmentation, by definition, is the process of separating the total addressable market into “buckets” or segments of potential customers who have similar values and therefore will react similarly to a specific offer. What this means is that once you have divided your marketplace into appropriate market segments, you may be able to charge individual segments different prices that are based upon the perceived value the product provides them. Let’s look at an example of this segmentation approach, marketing a security software product to Corporate IT departments. Through your market research you have concluded that the potential customer set with the highest pain threshold for the particular security problem you are solving are banks. By adding only a few important banking-specific features to build a “fence” around this market segment, you may be able to charge a price for a banking-specific version of your product that exceeds what other segments might pay. If you extend this model to multiple segments and do it properly, this approach will lead to far higher total revenue than if you set just one price for the entire market. The process of establishing value for each market segment, pricing to that full value and communicating this value to the marketplace is the essence of Value-based pricing. However, I don’t want to understate the difficulty of doing this precisely. This if because the concept of value to a specific customer set may be hard to quantify and therefore there is a subjective component to this exercise, which leaves it open to error. Finally it’s important also to remember that pricing actions should not be done in a vacuum. 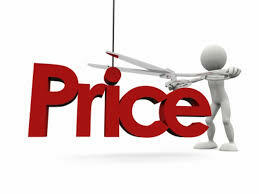 Pricing is one of the 4Ps of marketing and all four of the Ps are inter-related. You cannot properly price a product without at the same time considering the features and benefits of the product, how it will be promoted and distributed–and most importantly what the competition looks like. The price for an Internet-distributed software product will almost certainly be in a lower range than one distributed via a sophisticated direct sales force or VAR channel. If you aren’t going to have much of a promotional budget, you most likely will need to be a price leader to have any chance of being successful. If your product is at a perceived value deficit, your price relative to the market leader will probably need to be very aggressive. I’m sure you get the picture. Very well written, very insightful. Thanks for sharing.